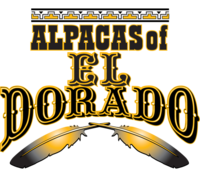 Alpacas of El Dorado is the culmination of our combined goals andvisions of the past several years. 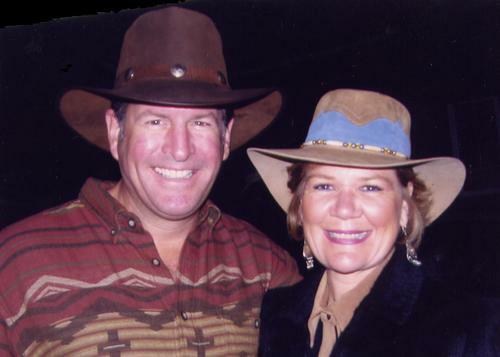 We have both been in the real estatefield for the past twenty years, Scott in residential sales and Lauriein escrow. We set our sights on purchasing a mountain home in the SierraFoothills on acreage set amongst a vibrant and excellent wine region.After extensive searching along California's Highway 49, the GoldCountry Trail, we found the perfect spot in El Dorado County just belowthe snow line but above the fog. Surrounded by stately Ponderosa Pinesand Cedar trees we found a cedar sided home with an expansive coveredporch and deck on five beautiful acres within a couple miles of awardwinning wineries. The alpaca part of the equation came from the simultaneousexploration of how best to use the land once we found it. Scott haddiscovered alpacas years earlier when showing property to some realestate clients and driving by an established alpaca ranch. Heimmediately was taken by the animal's gentle nature and calming demeanorbut nothing more came of it at that time. Laurie has always been anextremely observant, attentive and intuitive animal lover. She grew upowning and caring for her own horses since elementary school. With thegoal of purchasing the property becoming a reality Scott showed Lauriethe alpaca ranch he had discovered years ago and said "what do youthink?" Needless to say we were on the internet immediately learning allwe could about alpacas and attending "get started" seminars. We are dedicated to the continual improvement in quality of bothsuris and huacayas by breeding only to the finest herdsires andbloodlines. We are located in the beautiful Sierra Foothills midwaybetween Sacramento and South Lake Tahoe. Our ranch is open to visitorsat any time by appointment and we welcome you to be our guests toexperience the peaceful lifestyle, clean mountain air and to drink somegood local wines and talk alpaca. We have experienced the spiritual connections of life and are firmbelievers in goal setting and visioning your future path. The spiritualnature of these beautiful creatures, their gentle disposition, joy to bearound and connection to your inner being - not to mention the businessaspects of the alpaca lifestyle, has brought us down this most excitingpath. Follow your dreams, create your own future life and take the roadless traveled by - and that will make all the difference.